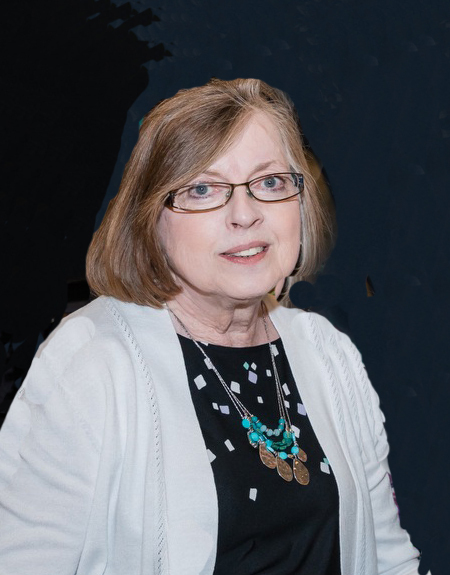 Kathleen Bates, 73, formerly of Norcross, died Tuesday, October 9, 2018, at Sanford Health in Fargo. Kathleen Frances Marick was born on December 18, 1944 in Breckenridge, MN, the daughter of Clemens and Carlota (Peterson) Marick. She attended school in Kent and graduated from Breckenridge High School. On August 30, 1962, Kathi married Gary Pigeon at St. Thomas Catholic Church in Kent and from this union, three children were born. Kathi and Gary farmed on the Pigeon family farm near Dunseith, North Dakota until 1976, when Kathi moved to Wahpeton with her children. While raising her children, Kathi worked for several area businesses in the Wahpeton/Breckenridge area. On May 25, 1985, Kathi married Kenneth Bates in Elbow Lake, MN, at which time Kathi moved to Norcross, where she assisted Ken on his farm. In the late 1980’s, Kathi began working at the Grant Country Courthouse, retiring as Deputy Assessor in 2012. A talented seamstress, Kathi loved to sew and shared her skill with her family, friends, and those in need. Some of the organizations Kathi supported include Birthright, Dorothy Day, area homeless shelters, and she provided blankets and clothing to various other organizations. She was an active member of St. Olaf Catholic Church, where she was a member of the mission group and served on the parish council. Kathi also supported the Grant County Humane Society. Most important was time spent with her family and friends. She is survived by her three children, Gary Pigeon of Wahpeton, ND, Tamara (Melvin) Heilman of Center, ND, and Vicki (Peter) Mandt of Norcross, MN; 11 grandchildren, Jesse Pigeon, Andrea (Ryan) Sprabary, Aaron Pigeon, Kristy Pigeon, Ashley (Cody) Bargmann, Kayla (Tucker) Olsen, Shawn Heilman, Terry Heilman, Amanda Mandt, Andrew (Brandi) Mandt, and Theodore Mandt; five great-grandchildren, Weston and Britton Sprabary, Calli Jo and Ryker Bargmann, and Elizabeth Mandt; three sisters, Mary Lou Vaughn of Pelican Rapids, Yvonne (Wade) Hansen of Breckenridge, and Carolyn (Arvin) Leabo of Underwood; and her dog, Harley. In addition to her parents, she was preceded in death by her husband, Kenneth in 2014; a grandson, Aaron Pigeon; two great-grandsons, Peyton Sprabary and Tannon Sprabary; a brother, Louis; and a brother-in-law, Arlin Johnson. Visitation: 5 – 7 PM Friday, with a 6:30 PM Prayer Service, at Erickson-Smith Funeral Home, Elbow Lake, and one hour prior to services at the church.